There aren’t many other places that encapsulate the customs and characteristics of the Mediterranean more perfectly than Malta. Situated in the heart of this compelling sea, the Maltese archipelago boasts a fascinating history, beautiful architecture, an alluring coastline and several remarkable attractions. While many tourists are more than satisfied with the mainland’s delights, the island of Gozo has plenty of other cultural highlights, archaeological treats and exhilarating activities to take advantage of. Many companies like First Choice fly out to Matla, so regardless of whether you’re looking for a relaxing getaway in the Mediterranean sun or want to learn more about the region’s intriguing past, here’s why you should go. Seeing as Malta has been the subject of numerous invasions throughout history due to its geographical position, civilizations such as the Phoenicians, Carthaginians, Romans and Christians, Turks, Arabs and British have all occupied the island. Therefore, it is awash with Baroque palaces and Renaissance cathedrals. Just like other areas of Europe, Malta hasn’t always had political stability. However, it gained independence in 1964, became a republic 10 years later and then joined the European Union in 2004. 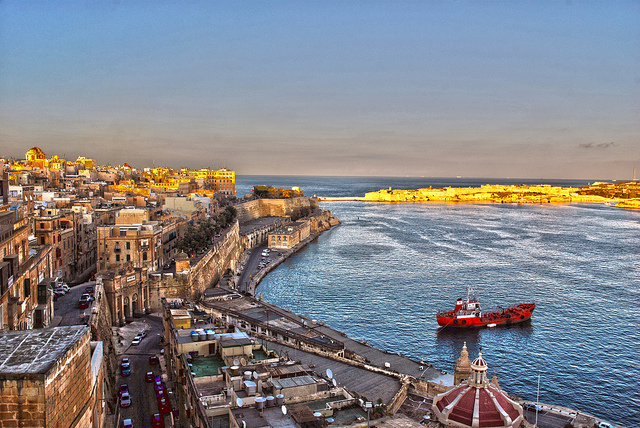 Since adopting the Euro in 2008, Malta’s political strength and commercial power has grown. Today, the country’s rich history, coupled with a modern infrastructure, make it a thoroughly appealing tourist trap. Ġgantija Temples, Gozo – Tracing their origin to around 3600 BC, these are regarded as incredibly important archaeological sites and possibly the oldest buildings in the world. Some locals believe that legendary behemoths built the sizeable megaliths and as such, named the site Ġgantija, which is Maltese for giant. The complex comprises of two temples, which were constructed with rough, coralline limestone blocks. Valletta, Malta – Simply wandering around Malta’s capital is like visiting a huge open-air museum, as this UNESCO World Heritage site is one of the best-preserved fortified cities in the world. Gaze in wonderment at the stunning interior of St John’s Co-Cathedral or take in the panoramic sea views at the Upper Barrakka Gardens. Fort St Elmo, Grand Master’s Palace, The Hal Saflieni Hypogeum and Lascaris War Rooms are also well worth a visit. Little wonder then that Valetta will be crowned European Capital of Culture in 2018. Xagħra Stone Circle, Gozo – John Otto Bayer discovered this underground funerary complex in the 1820s, but a chambered tomb on site dates back to between 4100 and 3800 BC. After excavation by the University of Malta, the Maltese Museums Department and the University of Cambridge, it was discovered that this was the burial ground of the same people who practiced rituals at the nearby Ġgantija Temples. All of these attractions don’t even take into account Malta’s colourful festivals, quality cuisine and warm yearlong temperatures, which make it an incredibly alluring holiday destination. Image by Berit Watkin used under the Creative Commons license.